I baked them based on a recipe from Shab's Cuisine, a truly fool-proof recipe from her mom and for sure I knew its going to turn out beautiful. What I really love about the recipe is that you are sure to have the ingredients in your pantry and also its quick and easy to make, a easy to bake recipe. Since these goodies are baked at home they are going to get over quickly so make sure you do enough biscuits. Enjoy with a cup of tea/coffee :-) Happy weekend to all my lovely friends. i love these cookies, made perfectly, very nice clicks Priya! 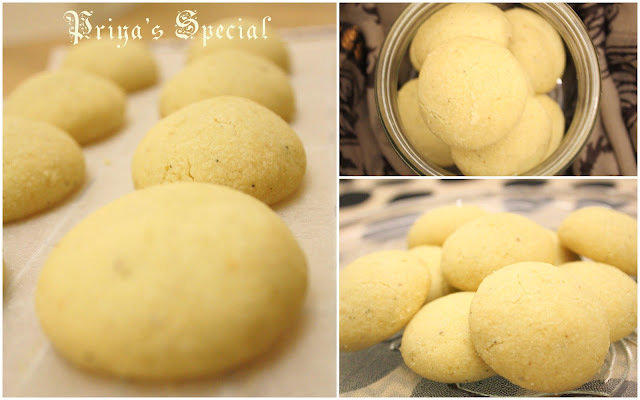 Delicious nan-khatai Priya. Love these treat a lot. Hey, thx for trying, glad u liked them.They have come out nice!You can also powder elaichi along with sugar, it gets powderd really well:). thank you Shabs :-) this is a nice idea will sure try it. Nan khatai looks perfect. My favourite one. 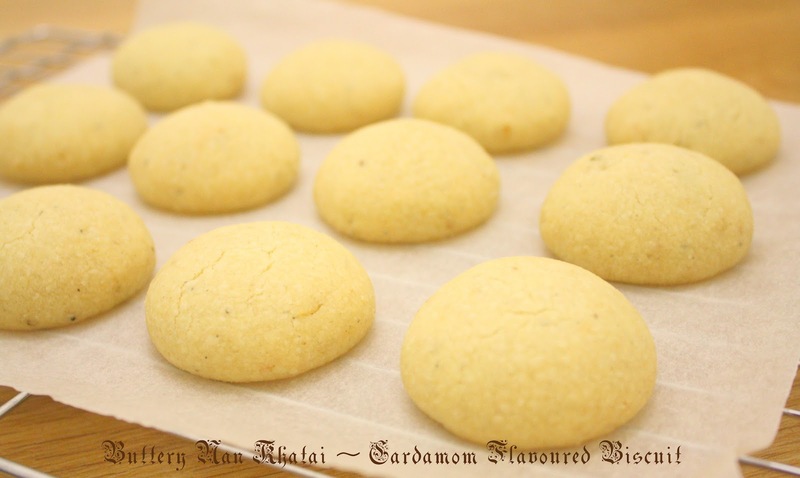 Nan khatai looks delicious.Nice clicks.Yummy Blog! 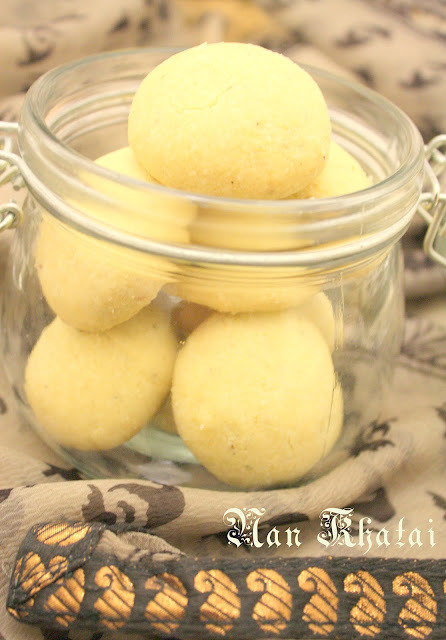 Nan khatai looks so yummy n perfectly made. looks perfect...planning to try this one tomr!! wow they are so cute :) like the color..
Wow.... can't wait to try these! Must-do-list for Diwali! Btw, can you tell me... if I add powdered nuts, will there be a variation in the ratio maida:sugar:ghee? Lovely Naan Khatayis, and I like your descriptive style of writing.. Superb recipe.. I am going to try it and will let you know the results..